Learning how to play piano beautifully requires constant work with both technique and expression. But, being good at technique does not automatically make you play more beautiful, and playing with great expression does not necessarily mean that you can play very well technically. If you want to play with expression- why do you need to practice piano technique? You need to work with expression to share the beauty of music. Nobody likes a mechanical performance- no matter how technically impressive. The study of technique and expression never ends. You are never «done». It's a lifetime pursuit. Ideally, technique and expression goes hand in hand all the time. However- as you learn how to play piano, you might get helped by working with different parts at first; like improving finger dexterity, coordination, dynamic expression, tempo, phrasing and articulation, etc. Ultimately, by mastering all the nitty-bitty details, you will use this acquired «tool-kit» of skills in service of expression! 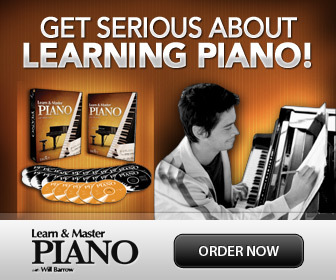 Studying piano technique is somewhat easier to show and teach. Maybe that's why we piano teachers often tend to focus on it. Technique is more analytical, and more like a physical workout. You can practice exercises, studies and various drills, as well as basic skills as scales, chords and piano arpeggios. But even though it's possible to play technical exercises without feeling or even thinking, it's not recommended. Expression is something you have to dig deeper to get to. No matter how well you play the music, written or not, in regards to dynamics, phrasing, articulation etc., you still have to put it all together in your soul, in your feelings. Otherwise it comes out as fake. 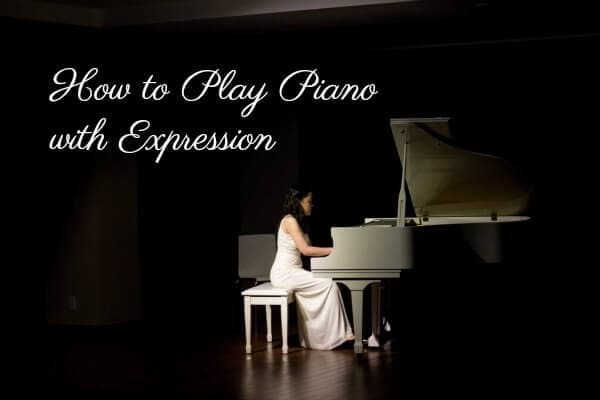 So how can you practice expression? Unless this is something that comes naturally to you, you need to discover it. Everyone has a vast library of "expressional" qualities inside- you just need to find your way around this inner library and not being afraid or shy of letting your expression out. But you also need to learn how to play piano and really listen; that what you want to express is also what can be heard! Let yourself feel. Listen to a lot of music, and let yourself associate to whatever you like. Cry, laugh, get romantic, get crazy, dance, sing. Or, most importantly: Make up your own story. Something that matters to you.